Right before we expand into something beautiful we hadn't known before, there is often deep struggle, trauma and upset... It's part of moving into a bigger better version of who we are. That's been true throughout the history of the world. It's how we evolve, grow and move forward. 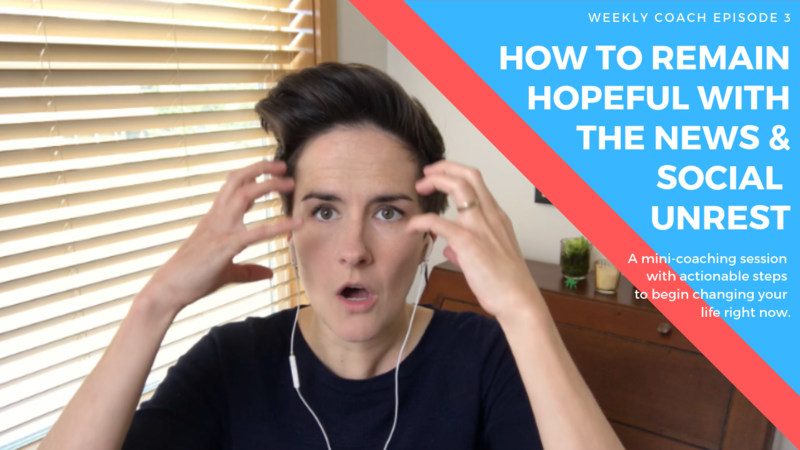 If you're feeling frustrated, down, or defeated and you aren't certain how to stay hopeful, where or how to show up and contribute, and how to process this topic emotionally, then watch this video. If, however, you feel like you've got a handle on this particular topic and you aren't effected by it, tune in to other areas of your life in which you find yourself needing a little more hope right now. 1. Think positively about change and the opportunities it brings for us... if we let it. 2. Use the resistance, contrast, discomfort, uncertainty and questioning to help you redefine your beliefs and values. Then use it to better define who we are, what we stand for, and how we choose to show up in the world. 3. Use this current social climate to focus, ground and align yourself with your hopes, to be stronger in yourself, stronger in what you know. Use it to listen to yourself, to others, and to be curious. 4. Why I think really big and great things are happening for us...even when it's uncomfortable. I'll tell you why. 5. Discipline yourself to focus on time for yourself at least once per day with something inspiring and uplifting that helps you remember who you are, who you are becoming, and what you are creating... because you are no good if you're flying all over, scared to death and ungrounded. You are at our best when you are soulfully connected and seeking the continued connection. 6. Contribute to something you support and BELIEVE IN so that you can contribute to what you do believe in and what you stand for. This will allow you to feel connected to forward positive movement, and less at the whim of chance and worry. 7. Ask: "How does this make me feel?" ... if when you ask yourself this, you feel scared, cynical, and terrible, stop reading, consuming or ingesting it. If what you're doing makes you feel informed and positive, then spend more time here. During the current climate, it's even MORE important that we take stoke of how we feel when we engage with certain news, technology, friendships, loved ones, work, etc. 8. Deliberately search for the good. It's harder to find. It's not usually a breaking news story... but it's there. If you're gonna read an article that isn't positive but that you feel you need to be informed about, then equal that out with a hopeful and positive read. 9. Information is power, until it isn't... Too much information renders us paralyzed with anger and fear. You have a lot more control and power in your own life. Do what you can in your own life to feel better, to be informed, to create change and move toward creating more goodness and more of what you want in the world. Remember: There is good in the world. You are good. There are more people in the world who want more goodness than not. We will be okay. I believe we all want to feel good and I know this episode will help you just as it has helped me and my clients. Share your story in the comments below the video. What resonated most for you in this video? We're all in this together and if we do it right, we're better together. Please be honest, kind, vulnerable and detailed in your sharing. 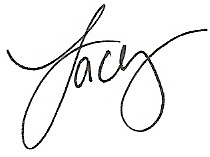 Many beautiful souls come to this blog each week looking for support and inspiration. Your sharing may just help someone find their own breakthrough. If this video helped you, or you believe it could help others, please share it. P.S. - If there's anyone in your life who feels upset, frustrated or confused about how to remain hopeful during our current social and political climate, please share this post. It might be just what they need to have their own breakthrough.